The secrets of the sensational Acropolis are waiting to be revealed; gain intriguing insight into a side of the Parthenon that strays away from the usual tourist trail. Join us for the Secret Acropolis Tour and get an intriguing insight into a secret side of the Acropolis Hill away from the usual tourist trail. “Duck into” secret pathways of history to sneak a look at the hidden parts of the time trail laid on the sacred rock since almost 3,500 BC. Dig deep into the history layers and unravel the unexpected and the unseen. Enjoy a private guided tour to the Acropolis with our expert and licensed tour guide. Let your jaw drop with the myths, stories and fun facts braided with the Acropolis Hill. Find out exceptional figures that left a distinct footprint at the Acropolis! Available daily as a private tour - ideal for 1st time visitors! Our visit to the Acropolis would not have been as easy or as interesting without Greeting.me. Correspondence to organize the tour was efficient and we were met as promised, by our guide Evita. From there began a fascinating 2 hour tour of the Acropolis which felt more like an afternoon stroll with a friend. Thank you for everything! I joined a private Acropolis tour with Greeking.me. The guide was knowledgeable and entertaining - and she even brought along with her 3D print outs, so I could experience how many of the old buildings looked back then. Although it was a 4 hour trip, time passed quickly and it felt more like walking with a friend who knows everything about Ancient Greek than an organised tour. Highly recommended. Our guide was incredible, the kids were amazed with the way she presented the history...it was like a story for them and we all really enjoyed it. The iPad program made it all come alive. We had a wonderful day with the guide called Anastasia. She was very personable and her knowledge was second to none. We would readily recommend your service to our friends who have the good fortune to visit your beautiful city. Thank you. ‘Dafni’ - American spelling! - was our wonderful guide. She had our 19yo and 16yo completely engaged - as were we! - and all the stories were fascinating. Her knowledge of the history was of course superb - and her enthusiasm infectious. 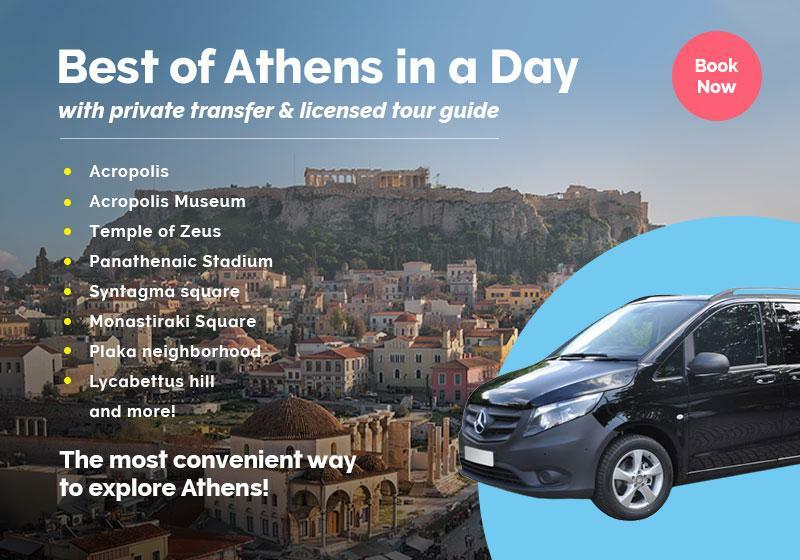 Follow our expert and fun licensed guide to a unique and unusual tour that will let the Acropolis secrets of centuries slip out! Walking through the sacred rock, the sights rise up to greet you through revealing stories in every spot encountered. Find out about Propylaea and the lost gallery of the Ancient World that hosted works of famous artists of the ancient era. From the secret cults of goddess Athena to spicy stories about Pericles’ wife, your walk in Acropolis will unfold secret facts, gossip and rumors of the sacred rock. Myths interwoven with every single spot of the Hill, mythical beasts, deceit and tragedies that follow the legendary figure of Theseus will make you stop dead in tracks! Find out about women with special privileges in Ancient Athens and get to know a stellar cast of famous figures that walked the very ground you stand on. And this is not even the half of it! Dig deeper than the average tourist and make every step in the Acropolis Hill along with a secret tale. Wonders will never cease! Enrich your experience with our VR technology and see, with your own eyes, the craftsmanship and vision that inspired a civilization. Hear the very voices of great men such as Pericles & Solon, as you marvel at statues that once stood before you. With the help of VR technology, you will feel as if you could reach out and touch the walls around you! As an additional service, Greeking.me pre-purchase your tickets to the Acropolis site to ensure you do not have to wait in lines. We value your time! The cost of the tickets are EUR 20/10 per adult (season dependent), children under 18 are free. Located at the southwestern bastion of the Acropolis, the small jewel-like temple of Athena Nike welcomes the visitors of Athena's sanctuary for thousands of years. Designed by one of the Parthenon's architects, Kallikrates, this is the earliest fully Ionic architectural example of the Acropolis. Dearly loved by the Athenians, the Nike was worshipped there with the epithet "Apteros" (Wingless), declaring that the goddess Nike resides in the city of Athens perpetually. A private guided tour in the Acropolis. Acropolis 3D iPads: Admire the magnificent Acropolis as it was in the past! The spoken language is English, Spanish, German, Italian or French. Very much! Our expert guide will provide fascinating info & easy to understand stories about the Acropolis and the greek mythology, that will make this tour an unforgettable experience for your little ones! The "Secret Acropolis Tour" is available as a private tour, in order to further customize your experience to fulfill your specific needs & expectations. Simply tell us your preferences in the booking form below.